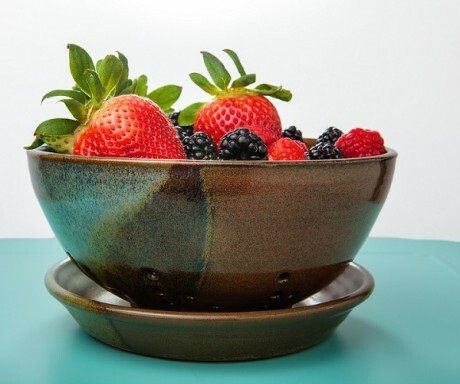 Keep your fruit and vegetables fresh with this handmade berry bowl set. 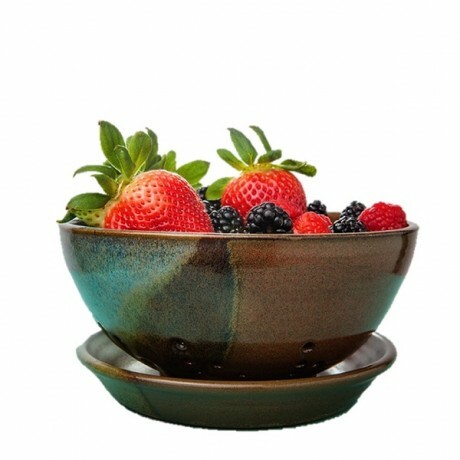 This bowl has smooth edges and comes with a plate to catch any water so you can take it directly to the table for serving. 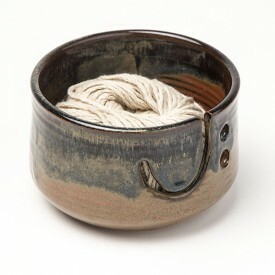 Made in Cove, TX by ClayThings Pottery and Sculpture Studio. 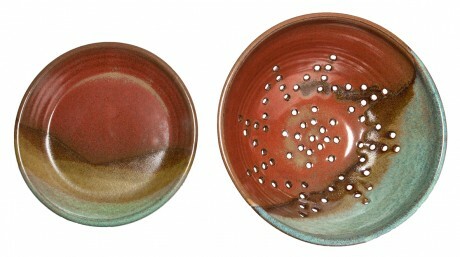 Non-toxic glaze. 3.5" tall and 7.5" in diameter.